Here is another article I wrote about a year ago. 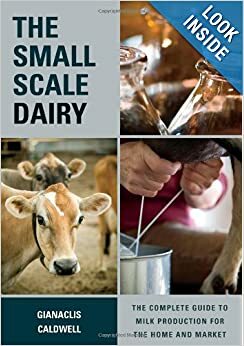 I did a little study using several local volunteer farms who promised to not change anything about their milking techniques and allowed me to take samples of their milk, which I then sent to a certified laboratory for testing. How Clean is Your Home Milk Supply-Really? Like most people who have a few dairy goats you probably believe the milk you drink and feed to your family (and maybe even sell) is clean and safe. But you might want to think again. 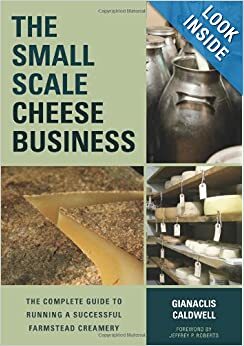 We run a small, licensed cheese dairy inOregon. We too thought our Grade A milk produced in our inspected, licensed facility was as pure as it could be. After all, the state conducts routine tests on our milk to verify its safety, but when we first got started I didn’t know how to correctly read the results from these tests. I assumed that if the numbers were less than stellar, that someone would tell me, but in reality, only when the bacteria counts reach the official violation level is the dairy owner usually informed. Without our noticing, the bacteria counts began a slow and steady climb that suddenly shot sky high. While the milk was still technically safe to use for cheese, it was far below the standards that are ideal. This was a pivotal moment for us. It did three things: It caused me to study and learn how to read and interpret milk lab tests, inspired me to pay close attention to the lab results when they arrived, and completely changed our approach to sanitation in our milk processing areas. After experiencing this from the standpoint of a licensed producer that believes in the right to drink raw milk, I started thinking about the home producer and their milk quality. If a licensed dairy performing rigorous cleaning rituals could find their milk not clean, what about the home producer? Here inOregon, raw milk can be sold legally direct from the farm, as long as only a specific herd size is not exceeded and other criteria are met. So not only could the home producer be serving tainted milk to their families, but they could be selling it to any number of people for whom bacterial contamination might cause health concerns. Even beyond the health issues, there is the flavor concern. A common cause of poor flavor in milk (especially goat milk) is the breakdown of fats by bacterial enzymes. So, for quality milk from all standpoints, cleanliness is paramount. I collected two milk samples from five farms. One sample was fresh, one just a few days old. Two of the farms hand milked and three used milking machines. The samples were packed on ice and overnight shipped to Agrimark Central Laboratory inMassachusetts. (I chose Agrimark for their easy to read and order “raw milk profile”) Before we go into the results, lets go over a little background on just what kind of tests can be done on milk and what these tests can tell you. Everyone who milks their goats, cows, or sheep should know a little bit about milk quality tests. The first thing you should know is that anyone can have their milk tested. It is not expensive (the tests run in this study cost about 20.00 for each sample) and can be very helpful in you quest for producing good, safe food for your family and neighbors. The first, and most common, test done on milk is the raw standard plate count (SPC) (some times called simply “raw count”). The SPC counts the TOTAL amount (measured in colony forming units) of bacteria in the milk. Both good and bad. It is a starting point for looking at the milk quality. For example, if the SPC is extremely low, you can bet that the bad bacteria count is also low. But if the SPC is high, it doesn’t necessarily mean that the milk is “bad”. If you are a cheesemaker, then you know that by adding culture, you are adding bacteria to your milk. Sometimes the home milk supply is “pre-cultured” with some pretty good bacteria from your animals. The next test is the pasteurized count. For this test, the milk is pasteurized and then the bacteria units are counted. Remember, normally pasteurized milk (in other words NOT ultra-pasteurized) is not sterile, a certain number of bacteria do survive. These are the heat loving bacteria (thermophiles). For most of us who are drinking and using our milk raw, the pasteurized count is of little significance. The test that I find most interesting is the preliminary incubation count (PI or PIC). For the PI, milk is held at 50 degrees F for a period of time and then the bacteria colonies are counted. Bacteria that like the cold (psychrohiles) will grow well under these conditions. They are of great importance for issues regarding milk flavor when the milk is stored for periods of time. Once the milk is chilled, the cold loving bacteria will continue to grow (very slowly if the milk is about 38 degrees F). Some bad bacteria are psychrophiles too, such as listeria (a potentially deadly pathogen). So knowing what your milk’s PI is after it has been stored for a while, can be very useful information. Then there are specific tests for certain bad bacteria such as e. coli, staph aureus, and listeria. First a count is done for the total number of coliforms (of which e. coli is the worst). If that number is low, then the e.coli number will be of little value, but if it is high, then it is important to know just how much of those coliform colonies are e. coli. Staph. aureus is a very common cause of clinical and subclinical mastitits in lactation animals. It is also of increasing concern for human health. This farm’s milk was pretty clean. They hand milk into a hooded pail in a fairly typical setting- milk stand is in the barn with the animals. Teats are not dipped after milking (note, the farm with the cleanest milk in the study did not post dip either). The milk is chilled by placing in a refrigerator next to the vent from the freezer compartment. They were unsure of how long it took for the milk to cool completely. If you will notice, their raw counts are not too bad, but the PI is quite high on the older milk sample. This indicates that there has been a significant growth of cold loving bacteria while the milk was stored, usually indicating that the milk did not reach ideal storage temperatures rapidly enough, or that it warmed up a bit during storage. Interestingly, the fresher sample had a higher bacteria count and the staph count was elevated, but the PI was low. The fresh sample was warm when I collected it from the farm. I cooled it rapidly in my collection ice, this probably led to the much reduced PI count. Suggestions: Cool the milk more rapidly and check the milking does for subclinical mastitis with an on-farm somatic cell (SCC) test such as the California Mastitis Test (CMT). This farm’s milking procedure, according to their questionnaire, sounds pretty thorough- so it was initially baffling to see the very high bacteria counts. Farm B uses a milking machine, washes the udders with hot water and a wash cloth, pre-strips, post dips, cools the milk in a refrigerator, and cleans the milking equipment with chemicals and cleaners designed for the job. The older milk sample has a raw count far beyond the violation level and an extremely high PI. The fresher sample has a much lower raw count, but still has an out of proportionally high PI. It also has a coliform count 10 times the ideal. So what could the problem be? Suggestions: The first place troubleshooting should be checking the milking equipment for cleanliness. Using a magnifying glass and strong flashlight, each component should be disassembled and inspected. A common area for buildup is in the typical goat claw used on many milking machines. In addition rubber gaskets and hoses might need replacing. Remember, microscopic nicks and grooves can easily harbor colonies of bacteria that your fresh milk will wash over during each milking- providing food for these colonies and contamination for your milk. After addressing these issues, a ramped up cleaning should be preformed using double the amount of detergent, utilizing 140 degree water (140 degrees at the start of cleaning will ensure it is still hot enough at the end of the cycle), and performed for 10-15 minutes (or until the water drops below 120 degrees). This should be followed with a 5 minute acid wash. After this “super cleaning”, they will want to ensure that their water is the right temperature (usually 120-140 degrees) during daily cleaning. When wash water drops below the ideal, it re-deposits proteins and fats on the equipment. The other factor that can limit the effectiveness of cleaning is the pH and hardness of the water source. Farm B also does not pre-sanitize their milking hoses, this step should be considered as well. The last thing that Farm B should do is chill the milk more rapidly, this will help prevent that elevated PI. This farm hand milks into open pails, does not post dip teats, cleans the milking equipment in an automatic dishwasher and routinely uses an acid wash. They milk two goats and then filter that milk and begin its cooling before proceeding with the next goats, this is probably contributing to their lower PI counts. The older sample has a remarkable low raw count and an acceptable PI, the newer sample has a bit higher raw count and an elevated staph count (probably leading to the higher raw count). About the only suggestion I have for this farm is routinely checking does with a somatic cell detecting test such as the California Mastitis Test (CMT), as staph is often present in mastitic milk, even in subclinical cases (where no clumping, stringing, or udder heat is present). Good job! This farm uses a milking machine, uses single use wash clothes for cleaning udders, and does not post dip teats. The milk is chilled within 10 minutes of milking by filtering into a container which is then set into an ice water filled pail. They use antibacterial dish soap to manually clean their milking hoses and equipment. While I spilled the fresher of the two milk samples when preparing them for shipping, Farm D’s older milk sample is amazingly clean. This farm claimed that their milk would maintain its flavor for up to two weeks, and I believe it! Suggestions: Keep doing what you are doing! Bravo! This farm uses a milking machine, cleans udders with a quaternary udder wash, and post dips teats. The milk is filtered into a clean container within 30 minutes of beginning to milk and placed in a refrigerator. The milking equipment is cleaned by pumping rinse, wash, and acid rinse solutions through the hoses. 155-180 degree water (although water temperature does not need to be higher than 140, especially when low temp detergent is used) is used with lo-temp automatic dishwashing detergent with chlorine added. Both samples have raw counts above the acceptable level and PI counts out of proportion to the raw count (remember, the PI is typically 3-4x as high as the raw count). Total coliforms on the older sample are quite high as well. Suggestions: The cleaning procedure sounds good on first examination, but obviously something is missing. One thing to remember is that each cleaning step has an ideal amount of chemical, temperature of water, and length of time. Any gap in these steps can lead to problems. It is possible that the length of cleaning time is inadequate, the amount of detergent is not sufficient, or even the water type is negatively effecting the performance of the chemicals. As with Farm B, the equipment should be disassembled and thoroughly inspected and a super cleaning should be performed. The milk chilling time and temperature goals should also be improved, rarely is chilling by setting the container in a refrigerator sufficient. Rinse all equipment with 100-110 degree water. Too hot of water causing proteins to bind to surfaces or too cold causing fats to form a greasy film. Use a chlorinated alkaline detergent mixed in the right amount for your water type (hard or soft and pH) in water that is 120-140 degrees F.
For hand washing, soak all parts in this solution for five minutes and then clean with brushes. If pumping through the lines, clean for 5-10 minutes, making sure water does not cool below 120 degrees. Drain wash water. Water too cold or cooled to below 120 by end of cleaning, causing the re-depositing of fats and proteins. Not cleaning for long enough. Not disassembling and manually cleaning parts not cleaned well by pumping or brushes. Mix acid rinse in lukewarm or cool water in amount directed. Soak or circulate solution for 2-3 minutes. Drain and hang equipment to air dry. Not using an acid rinse at the proper pH can leave a residue of the alkaline detergent, allow buildup of minerals, and leave the equipment more vulnerable to bacterial contamination between uses. Just before use, sanitize all equipment with a chlorine or other type sanitizer mixed as directed in cool water for 30 sec min. Drain well. Too strong of a solution will pit and erode stainless steel and leave a residue on hoses. Too weak will be ineffective. As they say, milk was never meant to see the light of day- it was meant to go directly from the mother into the mouth of her offspring. Once we interrupt that cycle and attempt to collect and keep a product that was never intended to be handled in that fashion, we increase the odds of reducing its quality and safety. While using a milking machine is often thought of as the cleanest method available for collecting milk, this only holds true when a very strict regimen of cleaning is adhered to. Milking hoses and paraphernalia have many nooks and crannies which make thorough cleaning a challenge. Other than cleaning of equipment, proper chilling of the milk seems to be the most common area that needs improving. I think once the milk is in our refrigerators, we kind of let our guards down, it seems safe in there! But if you try to picture the milk as a growth medium, for not only your family, but for the hoards of bacteria, both good and bad, that are on the animals, in the air, and possibly on our equipment, then you more likely establish procedures for ensuring the safest and tastiest home milk supply possible. Give your doe a dairy clip- clip hair from udder, belly, legs and around her tail for the latest in trendy, dairy fashion! Milk with dry, clean hands- never wet!- or even better, use a pair of disposable gloves while milking. They say that dirty gloves are probably cleaner than clean hands! Milk in to a hooded pail or place your stainless strainer (with a fresh, clean, single use filter in it) on top of the pail during milking! Make sure your milk jars are clean and sanitized before adding warm milk. Remember, any bacterial residue in the container will love the warm milk! Keep it on ice- right after milking, set the filtered milk into a pail of ice water and stir. If you can get the temperature to 40 degrees within 2 hours of milking, you are chilling perfectly. Clean up immediately! Never put off cleaning your milking equipment. Use cleaning detergents and sanitizing chemical in exacting amounts and with the right temperature water. Let equipment dry between use- bacteria need moisture to surviv- a wet surface is likely a contaminated surface! Don’t forget to replace any rubber, plastic, or silicone parts of your set-up as recommended! And last, use your milk within a week, it might still taste good, but any cold loving bacteria will be developing a population by then. This entry was posted in Milk and Milking and tagged clean milk, dirty milk, hand milking, milk, plate count, sanitation. Bookmark the permalink. I don’t even want to think of what the milk was like when milking the cows daffodil and butterscotch. I will keep this info handy for when we get our goats next year. Thank you for the info. Excellent information. Thanks for writing this great article! Thank you for a very in-depth article that really explains a lot about the cooling and cleaning process relating to water temps and the “why” of it. I’m definitely keeping this one! what hand and automatic dishwashing soaps were used? I believe Dawn for the hand washing (we use that here at our farm). Not sure about the automatic. Sorry. At our farm we use lo temp commercial liquid dishwashing detergent and then add chlorine. Good to hear the good news that milk vending machines have covered up most of the areas in Europe and people there can avail fresh milk just like that. I am hoping that soon it will be implemented in our country also to reach a greater height in the Dairy field! !